It seems as though there should be something between the Zymatic (compact, highly automated, 2.5-3 gallon batches) and my three vessel HERMS/RIMS setup (large, slightly automated, 10 gallon batches). Actually, there is, and has been for a while. Those crafty brewers down under, who originated the single vessel brew-in-bag concept, inspired Imake of New Zealand’s all in one Grainfather brew-in-a-basket system a few years ago. It strikes a happy medium for many. 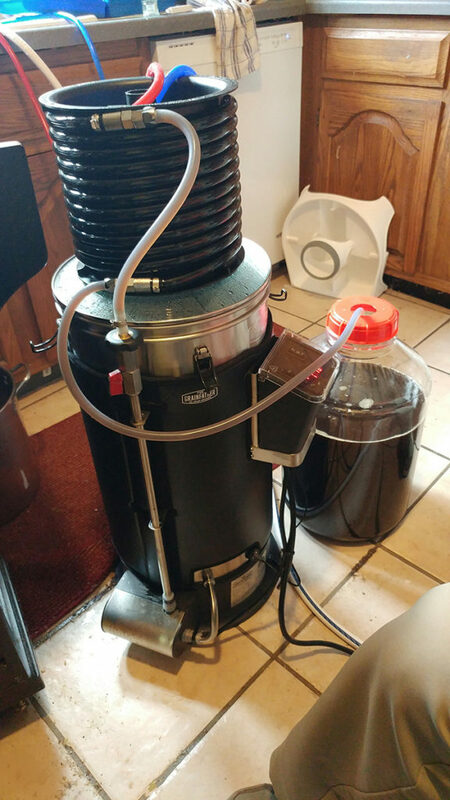 It easily manages the 5 gallon batch size that is common in the US, and also the 6 gallon brews that are the usual in Australia and New Zealand. It has about the same level of automation as my three vessel setup but fewer switches and buttons to manage. It also fits pretty well into my kitchen so I can stay indoors when the weather isn’t cooperating and operates from a standard 120VAC, 15A GFCI outlet. This just a glance at the product after the first brewing session. I will probably do a more thorough review after a few more brews. As easy as it is to use, that probably won’t take long. The brief report is: we brewed a milk stout with pumpkin spices and with roasted pumpkin rind in the mash. 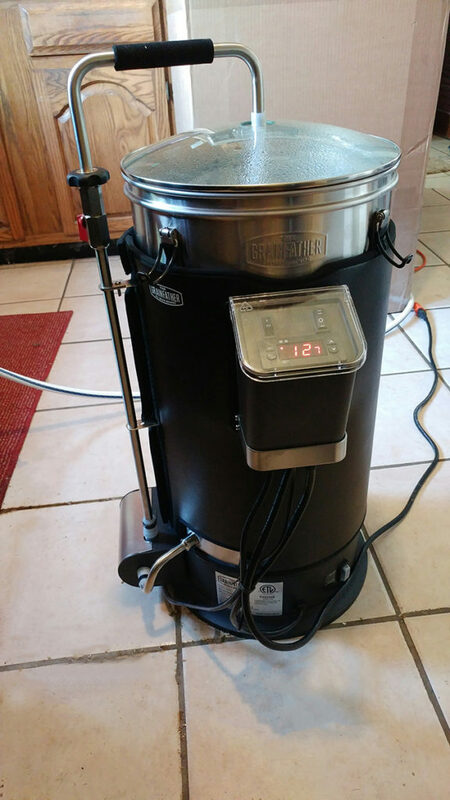 Using the Beersmith Grainfather profile, gravities and volumes were dead on. Operation was simple, and cleanup fast and easy. It offers the simplicity of brew in a bag without the bag to dump and launder. Looks fine, so far! ← Last hot weather brew this weekend.